Yesterday, I had time to read only a dozen Twitter updates. 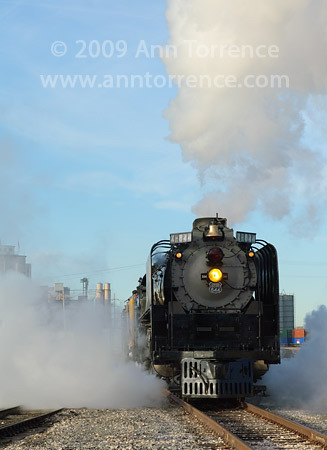 Luckily, Scott Smith’s tweet about Union Pacific’s steam locomotive 844 arriving in Ogden was one of them. Because of Easter shots I needed for the Cathedral of the Madeleine project, I couldn’t go on Sunday, but we met up this morning at the station. 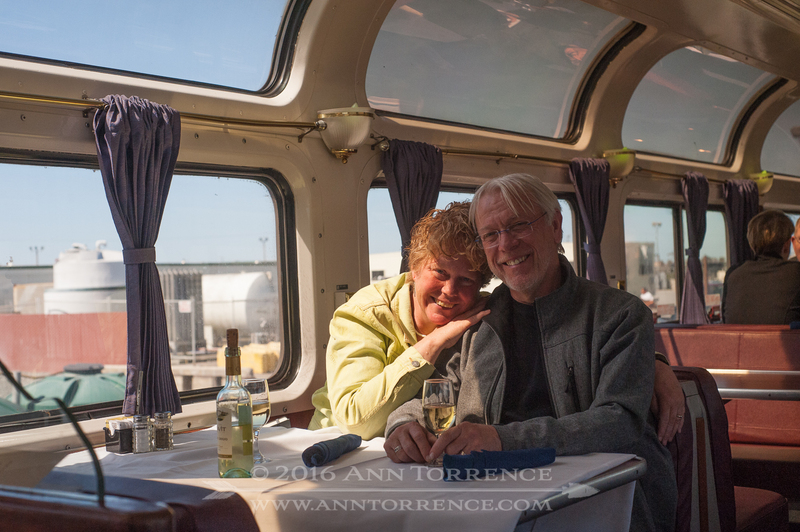 We made a new friend, Jim, who had photographed the train before and knew how the main line tracks intersected all the interesting bridges and crossings on the train’s path toward Elko. As it left the station, Jim invited Scott and me to jump in his car to chase the train. We got a few shots, but I liked this one better, with just a hint of old-time industrial Ogden in the background. Occasionally, I get some grief about spending valuable time on Twitter, but opportunities like this one have sprung up that I would have otherwise completely missed. Even the UP Steam Locomotive 844 has a Twitter stream. Not like the old days, when railways were managed by telegraph orders, grabbed by the crew as their train passed through a station. Named for the onionskin paper they were printed on, “flimsies” were eventually replaced by radios. I talked to a retired front brakeman today who remembered using them in his days on the rails. The gentleman probably doesn’t Twitter either, but without it, I never would have had a chance to meet him. You can find me on Twitter at twitter.com/anntorrence. Fun, free, and occasionally shockingly useful.